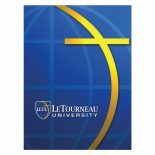 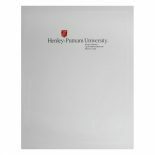 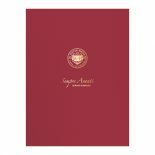 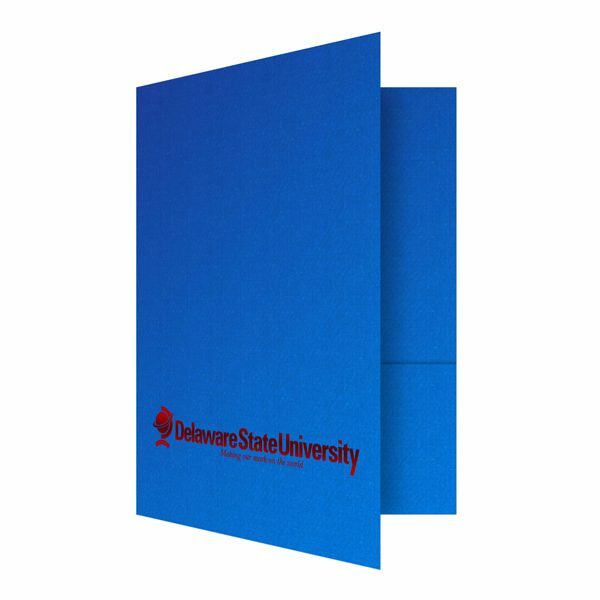 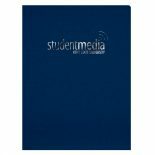 This school folder was designed to promote Delaware State University and features red foil stamping on blue stock. 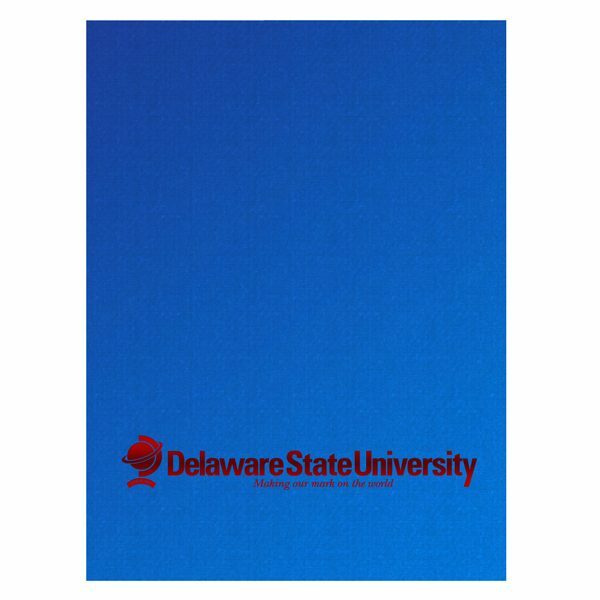 Delaware State’s school colors are red and blue, so this color scheme is quite fitting. 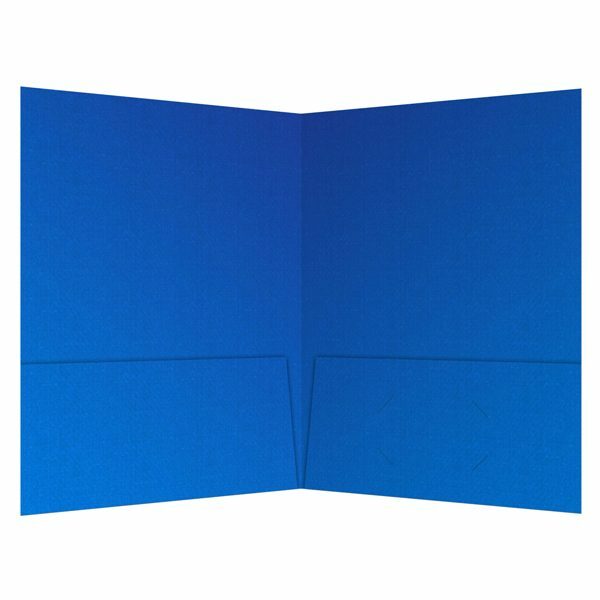 In terms of its die cuts, DSU’s design features square corners and two interior pockets. 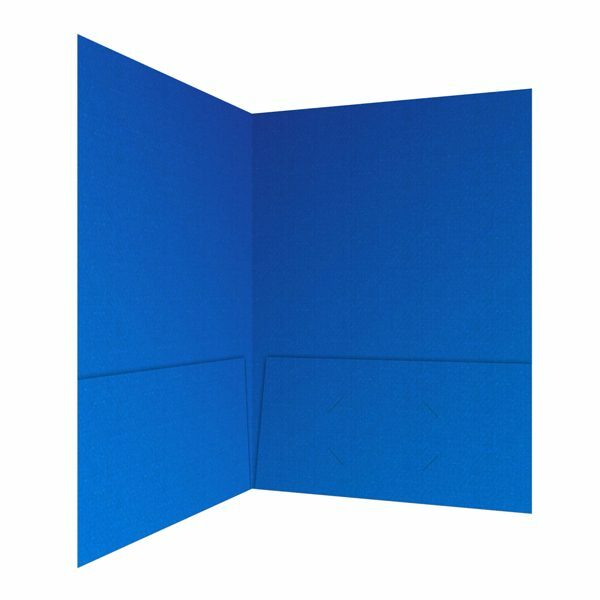 The 9×12 size allows it to hold any letter-sized documents.